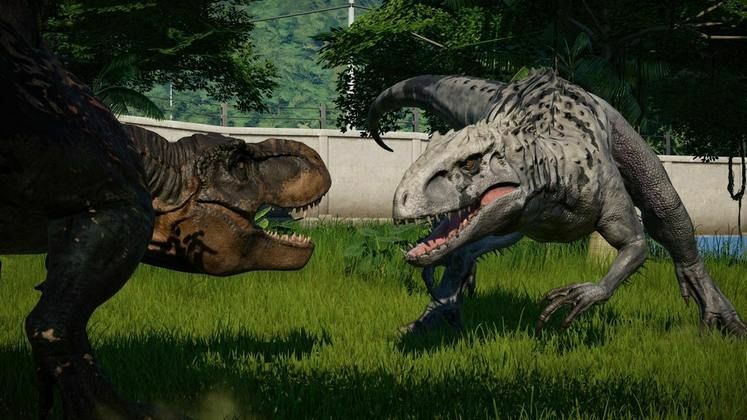 Jurassic World Evolution Update 1.5 is releasing soon and adds a lot of things the community has been asking for, including additions to Dinosaur Behaviours, along with giving players a Day/Night Cycle feature. 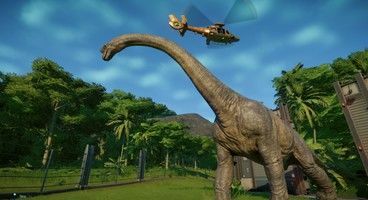 There will also be additional paid for Jurassic World Evolution DLC coming soon, but we don’t currently know what this will be. We’ve covered the dinosaur size changes previously, but there are some interesting surprises in the rest of the changes. Read on for all details. 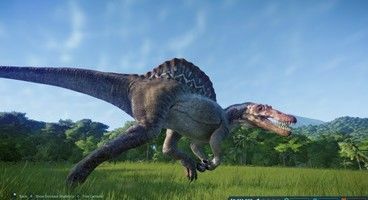 Jurassic World Evolution is getting an update soon that adds a wealth of free content, which includes changes to the Dinosaur Behaviours – Frontier has added two highly requested additions: Group Leaders, which allows dinosaurs to follow the actions of the group leader and keeps the dinosaurs together as a group. The sleeping behaviour has been changed too, with dinosaurs now taking rest when they’re idle and comfortable. 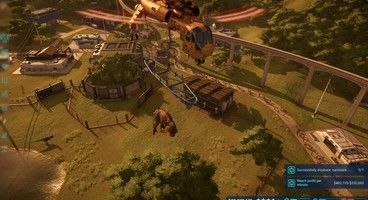 To improve the dynamic environment, Jurassic World Evolution Patch 1.5 also adds a much requested Day / Night cycle across all modes, although you’ll need to get a five star rating to unlock it for the Career islands. There’s also larger capacity feeder types and new contracts. We’ll bring you all the latest information on the paid DLC when we have it from Frontier. This is separate from the story campaign and sandbox, and will take place on the main movie island of Isla Nublar, which is usually just the sandbox island. You choose difficulty (easy, medium, hard and Jurassic) and you start with very little starting money. There are new problems including Hammond Foundation fees and contract cancellation penalties. New skins are available when you beat this mode for the first time, and on Jurassic difficulty. It sounds a blast, and rather like the movies Jurassic Park and Jurassic World. See here for all changes. 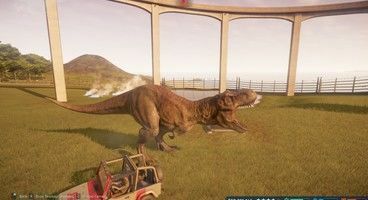 The T-Rex will be smaller, the Spinosaurus will be bigger than her, and Giganotosaurus will be the same size as the T-Rex. New options include a dinosaur lifespan toggle (dinosaurs no longer die of old age), a cash level toggle (decide how much cash is available to you – Low, Medium, High, Unlimited), various difficulty settings (dinosaur variety, rating, guest count, and economics), feeder resupply toggle (no longer have to resupply feeders? YES), and power toggle (no power stations or power requirements needed, as well as no power outages). These will presumably not be available in story mode. Time of day toggle: possibly only available in Challenge Mode on Isla Nublar. Korean and Italian Language Support. The option to cancel a research project or incubation. The option to revert all the genes to default. New dinosaur bio information in the Genome Library (health and comfort requirements). Shortcuts to research items from the Upgrade and Build menus. You can read the full patch notes here.There’s no word yet however on the next DLC expansion, which must be in the works.